Are you visiting us in York soon? Perfect, we can’t wait to have you! In the meantime, we have created the Ultimate York Local Travel Guide to help get you started on the best places to visit during your stay. 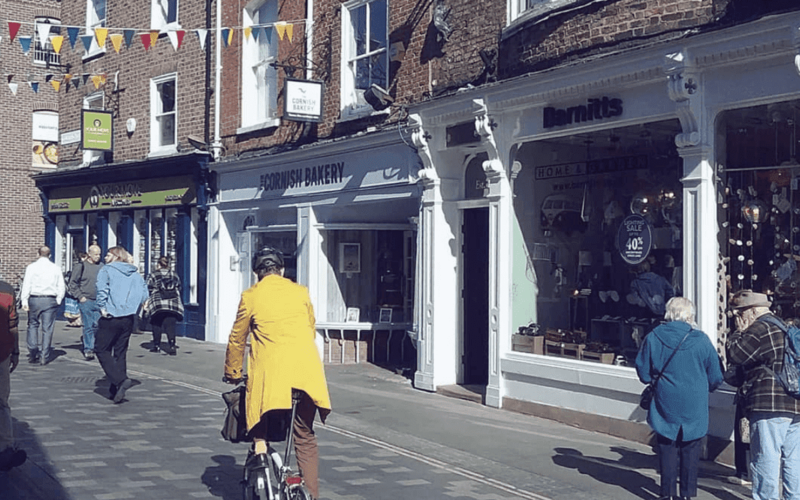 Our receptionist Lois at the York hostel has given us her best recommendations of where to eat, drink, visit, and get a great photo – so no need for the extra planning before your trip, we’ve got you covered! The Fossgate Social is a relaxed friendly place that serves a great cup of coffee and tea or if you would prefer, a great selection of craft beers! Located only a 10-15 minute walk from the hostel, the cafe is a great place to go and hang-out with friends – particularly as it has 2 floors and an outdoor area so there is plenty of seating for everyone! You can also join them for some brunch, a snack with your coffee or some toasted sandwiches at lunchtime! If you are looking for a scenic destination to go and enjoy a pint or drink, then the riverside is the best place to go! There is plenty of choice of pubs, bars and restaurants so you will definitely find a great place to hang out and enjoy a beverage (or two)! If you fancy some great cocktails and a night-life atmosphere then why not head to Revolution, where you can dance into the early hours while sipping on your fruity cocktail! This is a fantastic cocktail bar in the heart of York. With a brightly painted bar – themed in Brazil, Haiti and Morocco – Asian street food, and an array of different cocktails and flavours this is a unique and great spot to visit! 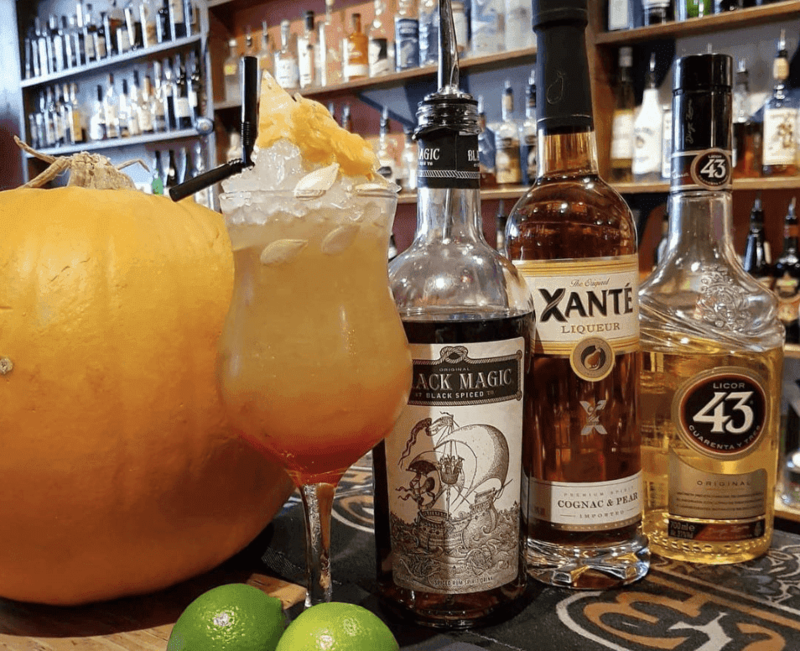 They serve many beers and ciders from all over the world so if you are feeling daring, head on over to Evil Eye to try some great new drinks! 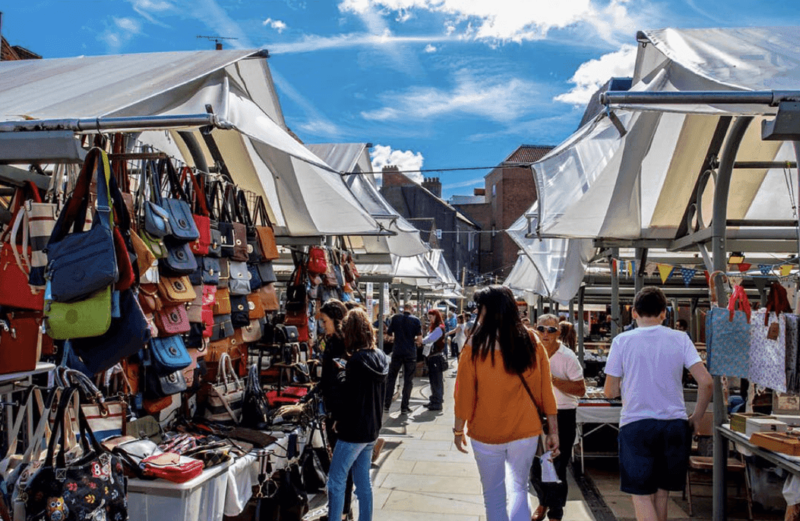 Situated in the heart of the City of York, The Shambles Market is a great place to eat offering a wide variety of outdoor food carts to satisfy all of your food cravings! With free Wi-Fi and outdoor seating, it is a great place to eat and watch the world go by. With local buskers playing along the street you can listen to live music as you browse through the various food carts. If you love Mexican food you must try The Shambles Kitchen, they make great burritos ranging from chicken to veggie – so there is plenty of choice for everyone! 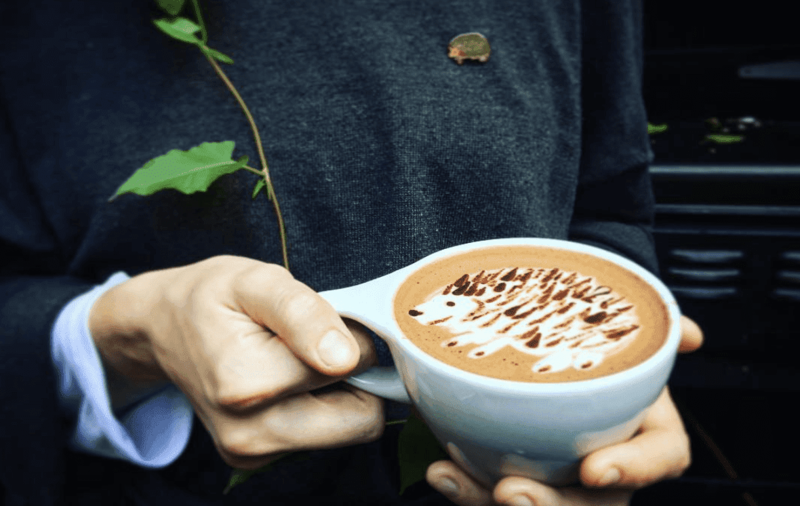 If you want the true York experience, you cannot leave here without visiting The York Roast Company. Serving freshly carved sandwiches and the infamous Yorkshire pud wraps – even a vegetarian Yorkshire pud wrap – there is enough on the menu to satisfy those roast dinner cravings. All of their products are available to Eat-In, Takeaway or to order on Deliveroo – so if you are hungry but don’t want to leave the comfy rooms in Safestay, you can order it straight to your door! 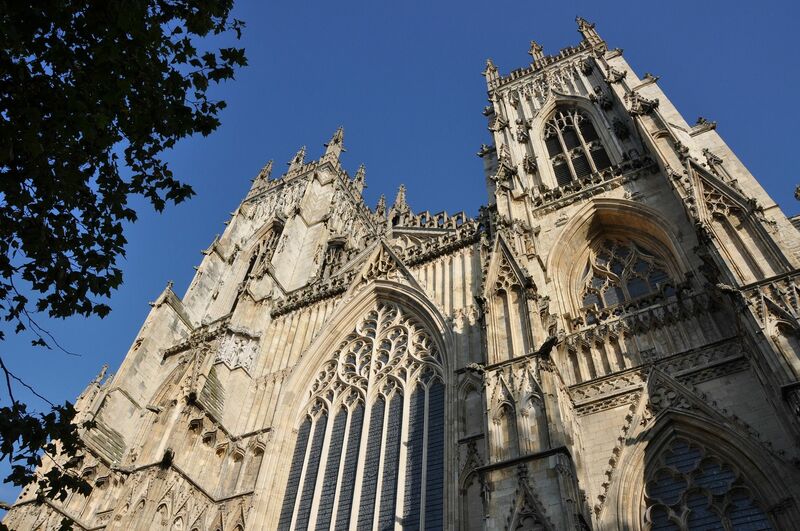 The York Minster is an idyllic Cathedral in the heart of the city. With entry only at £10 per person, with a free guided tour and free entry to the Undercroft museum (Mon-Sat), this is guaranteed to be a great day out! The museum offers visitors the chance to view 1,000-year-old artefacts and explore York’s extensive history in the chambers beneath the cathedral. As one of York’s main attraction, you definitely need to tick this off your bucket list while in York!! Offering both entries into the gardens and museum, York Museum Gardens are a beautiful haven to relax and unwind in. With an array of plant species, wildlife and medieval ruins of St. Mary’s Abbey there are many features of the gardens that you can explore. You can also visit the museum with entry starting from £4.00 and explore a range of exhibitions that celebrate the history of York. Don’t forget to take some great pictures of the garden as their beautiful backdrop will be great for your social media sites! Hours Open day and night for you to visit! Known as York’s most famous street, The Shambles is one of York’s most popular tourist destinations. 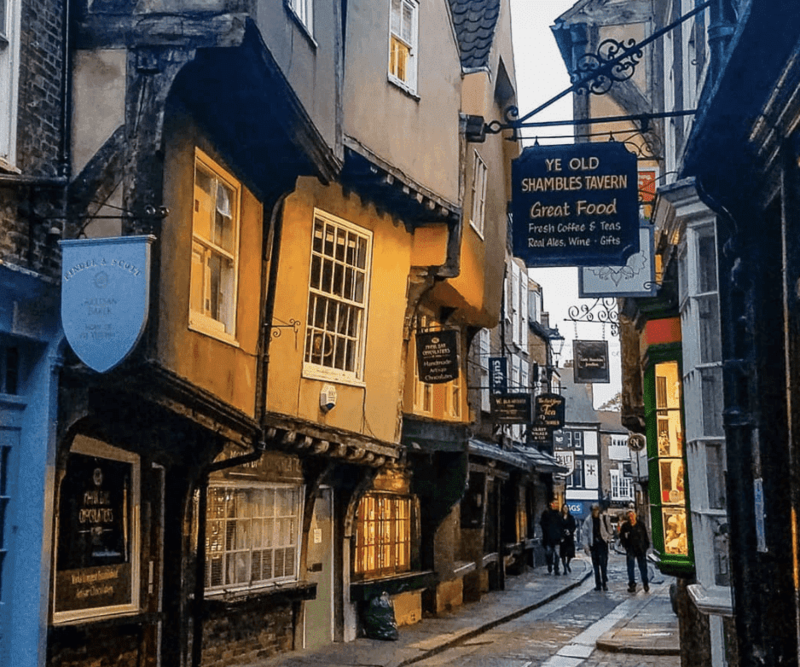 The Shambles is a narrow cobbled street known for its beautiful Elizabethan buildings, and back in its day was a street lined with many butchers shops! Nowadays you won’t find butcher shops but will find some little restaurants and local food shops to satisfy any food cravings! The quaint narrow street is a definite must-see during your stay! Hours The Square is open 24 hours a day for you to wander through! Distance Approximately a 10-minute walk from the hostel! King’s Square is not only a historical site – having used to be a church in the early 1900s – it is now a busy and vibrant public space! Offering fantastic views of the Minster in the background you can capture a great photo of York’s famous sites or you can even take a great shot down one of the many small streets leading off the square! Be sure to tag us in any photos you take on Instagram @safestayhostels with #SafestayYork – we would love to see your artistic photos! Hours Open day and night for you to get a great scenic photo at any time of the day! Distance Only a few minutes walk from the hostel! 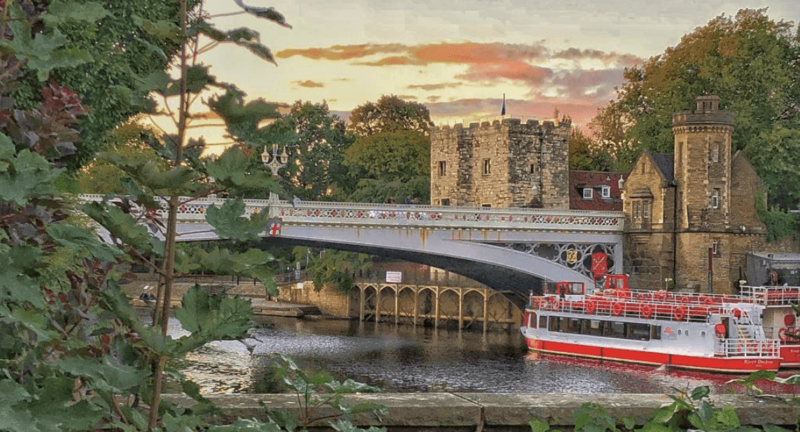 Built over the river Ouse and with a great view of York in the background, Lendal Bridge is in a prime location to take a great Instagram picture! 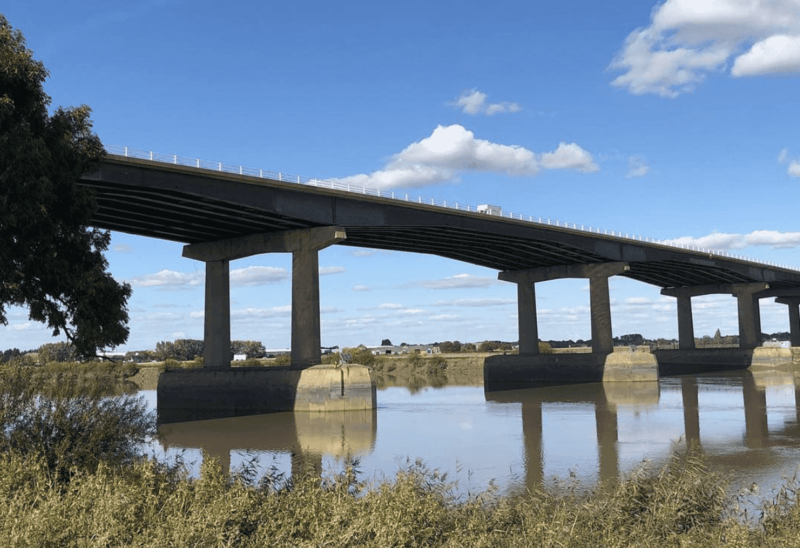 You can take a scenic photo of the river as the boats pass down, a great selfie with friends or a full-length shot with your partner of the bridge and beautiful views behind it. Only a few minutes walk from the hostel, this really is the place to go for that winning Instashot! Top TIP! 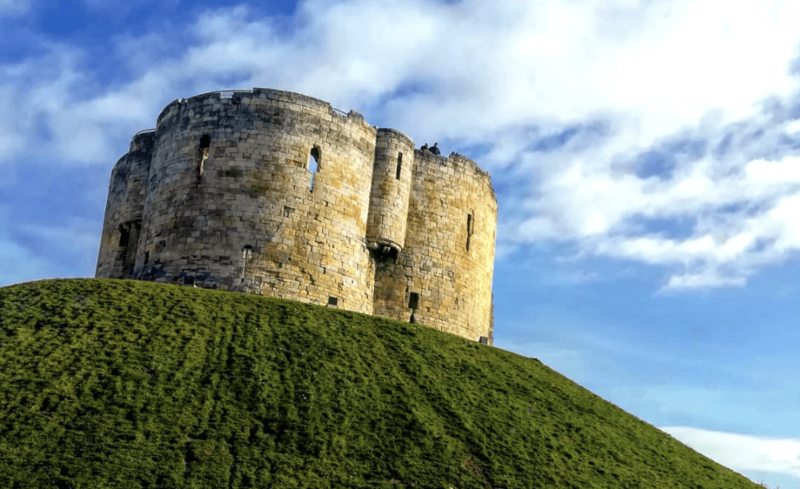 Clifford’s Tower is an English Heritage site and the perfect place to get a photo! If you want a fantastic panoramic picture, then head on up to the top of Clifford’s Tower for a great view of the city! You can get a great picture of the tower and castle at the bottom of the hill, or if you fancy a trip to the top then it’s a great place to get a selfie or that winning panoramic photo! Want some more attractions? Here is 5!